Upon payment, the recipient will receive an email with the certificate attached. You can order the gift certificate and have it sent to yourself if you do not want the recipient to get it right away. In that case, you would enter your email as the recipient email but enter the name of the person you are gifting it to. You can then print it off and give it to the recipient on the special day. The certificate will have a code on it that they can use online at any time. The redemption code appears in the top right hand corner of the certificate. You can even order one with a theme to match the occasion. 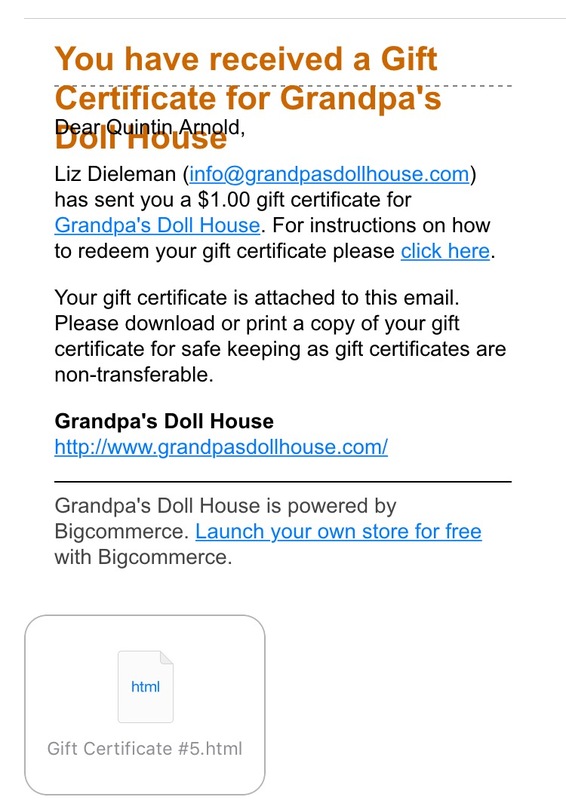 If you are having it emailed to you, I would suggest you click on the link that says “For instructions on how to redeem your gift certificate, please click here”. You can then print that page off for the recipient so that they will know how to redeem it. Or, you can have it emailed to them instantly for a nice surprise.